A transformable seat that unfurls with a flourish and retracts with a simple pull of a string. The Ollie Chair is a transformable seat that unfurls with a flourish and retracts with a simple pull of a string. Designed and produced by Brooklyn-based kinetic furniture company RockPaperRobot, the chair offers a versatile and elegant seating solution for commercial and residential spaces. The chair’s tambour seating surface is made of connected wooden slats that allow the chair to magically morph between seated and flat profiles; the chair’s aluminum body provides a strong, lightweight structure. Viscerally delightful to open and close, the Ollie Chair entices you to sit and relax as much as it enables you to get up and go. KIDKATAT was instantly drawn to this chair when we first saw it. How could you not? Can be hung flat on the wall as an elegant piece of art, saving floor space and looking good doing it. 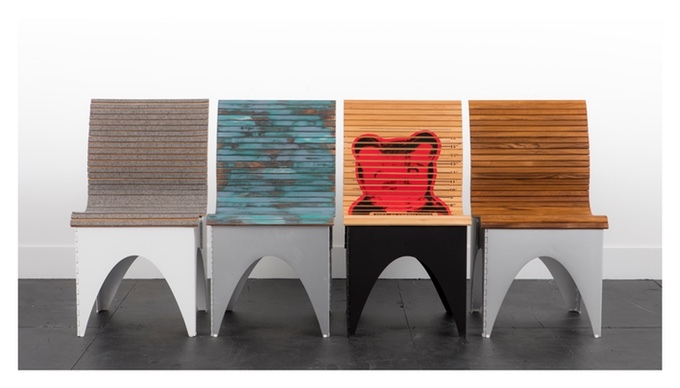 KIDKATAT had the pleasure of talking directly to the team behind the Ollie Chair. Read on to learn more about the Ollie Chair, the people behind it and how you can get one for yourself! 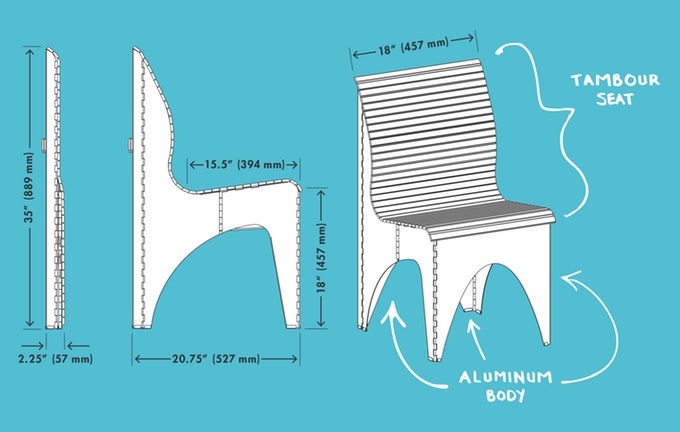 KidKATAT interviews the creators behind the Ollie Chair, RPR. RockPaperRobot (RPR) is an engineering and design firm that is rousing the sleepy and technology-resistant furniture industry. Their transformable furnishings address the demands that current physical, cultural, and technological shifts are imposing on commercial and residential spaces. As designers and technologists, the team integrates aesthetics and robotics into decor to enhance versatility and functionality without subscribing to the sterile appearance of sci-fi lore: think Charles Eames’s and Judy Jetson’s wedding registry. 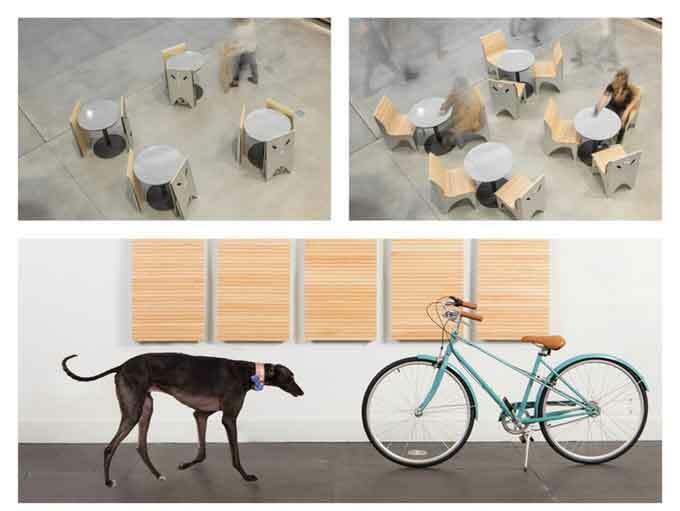 Aligning time-honored craftsmanship with progressive engineering, RPR invents the furniture of the future. 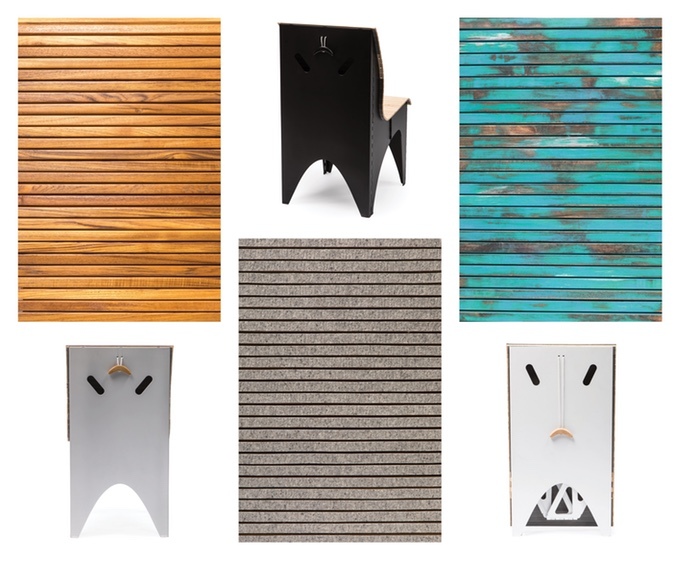 Who are the people behind RPR that helped to bring the Ollie Chair to life? 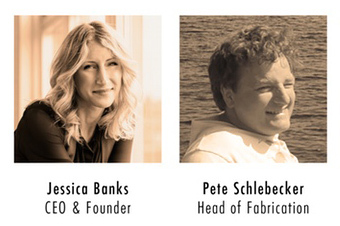 Jessica Banks, CEO & Founder along with Pete Schlebecker, Head of Fabrication, are the primary designers and engineers. Why did you decide to call it the “Ollie” Chair? Is there a story behind it? The Ollie Chair was created in response to the Ollie Table, a transforming slatted surface that stores flat on the wall and comes down and out to any desired length. 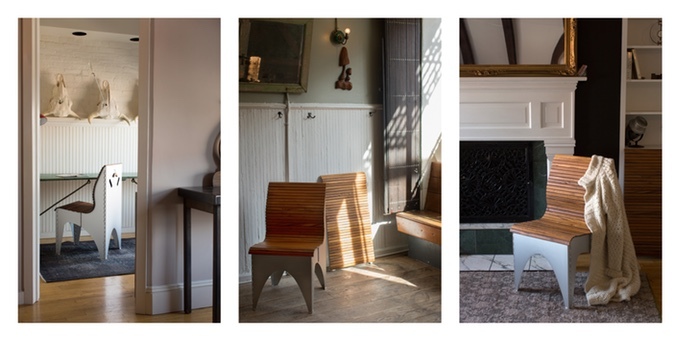 When a friend of ours asked, “So what happens to the chairs when the table goes up on the wall?” the chairs were born. How long have you worked on the Ollie Chair? What has been your favorite part of working on the Ollie Chair? I generally love prototyping and problem-solving. The process of thinking about how different people will use the chair in all kinds of situations is both challenging and thrilling. Why did you decide to go on kickstarter with the Ollie Chair? The Ollie Chair is the first RockPaperRobot product that is made for and accessible to a broader market. Kickstarter allows us to introduce both our company and our newest product to that other audience – formerly we were mostly high-end one-off products. Crowdfunding is an excellent way to build a community of consumers who not only feel a part of the process of bringing Ollie to market, but who also give us honest and supportive feedback on how we can improve our offering and business. How did you feel when you blew past your Kickstarter goal in 72 hours? We were shocked and thrilled…and tired (we had been up for days fine tuning the campaign). It’s pretty reaffirming to get a response like that though. It made us proud. What other products do you have in the works that our readers should keep an eye out for? After the Ollie Chair is in production, we plan on releasing the Ollie barstool and Ollie Table. Then come some secret new robotic chandeliers and desks. We want to build a global brand that defines how people think about furniture. Our intention is to be the go-to company for those who want customizable, highly designed, high quality, (and intelligent) furnishings in their homes and businesses. Yes, you’ve finally found your space savior. Ollie can also hang flat on the wall as an elegant storage alternative. The chair’s slatted wood seat, called a tambour, allows it to fluidly transform between ergonomic and flat profiles; its aluminum body provides a robust, retractable structure with a sleek look. Tambour, Traditionally used in roll-top desks, is a flexible surface made of wood slats adhered to a textile canvas. Using a tambour as a seating surface is an innovation that gives the Ollie Chair its unique movement and shape-shifting abilities. How do I get my own Ollie Chair? Excellent question! The Ollie Chair is now on Kickstarter until Wed, March 29 2017. RUN … don’t walk to get your Ollie Chair at 33% off the expected retail price of $450.